Artistically as well as intricately designed, our Meena Work Mandir are made of 22 k gold plating carved by our master craftsmen. 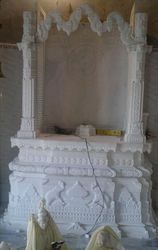 Marble temples can be customized according to the specific requirement. It may be in Size, Shape or Design. Artistically carved and designed temple facade are architectural beauty, which reflects the true workmanship of our creative stone designers. These temple facade are designed ensuring the minutest of details as given to us by our clients. mandir design has been inspired by actual Hindu mandir. mandir is exclusively designed for home pooja. Aluminum mandir for home can be an ideal souvenir representing Indian culture and Hindu religion. mandir shows four foldeble exquisitely engraved doors . Puja mandir for home shows a decorated Prasad plate for pulling it out and putting Prasad or other puja items. Fine Decorative Wooden Embossed Work Temple Available In Different Designs & Sizes. We are offering a superior quality designer Wooden Carved Temple to our most valued clients. 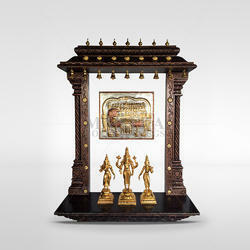 These Wooden Carved Temple are made by using superior quality raw material which ensure its quality and durability. Wooden Carved Temple are customised as per requirements.These designer Wooden Carved Temple are available in various types and we offer at wholesale rates.